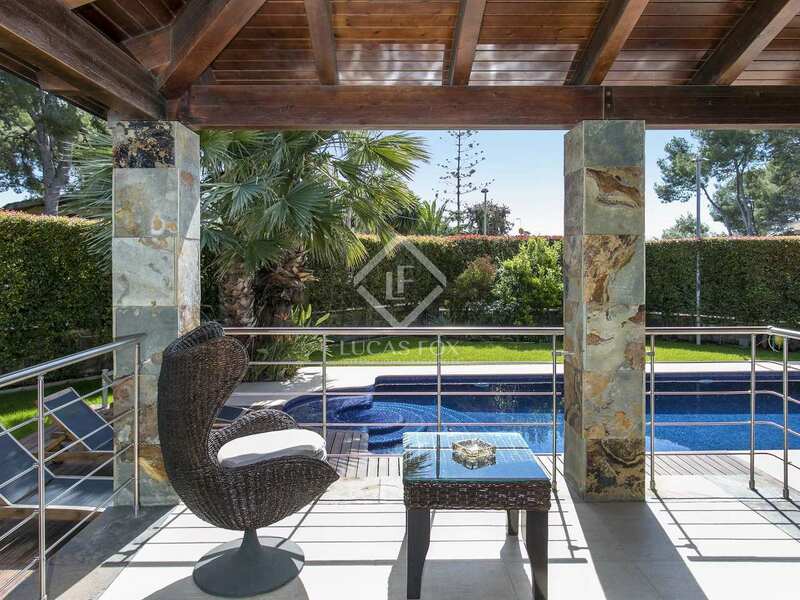 Opportunity to acquire one of the largest and most exclusive properties in Montemar - Castelldefels with excellent quality finishes and every imaginable luxury. 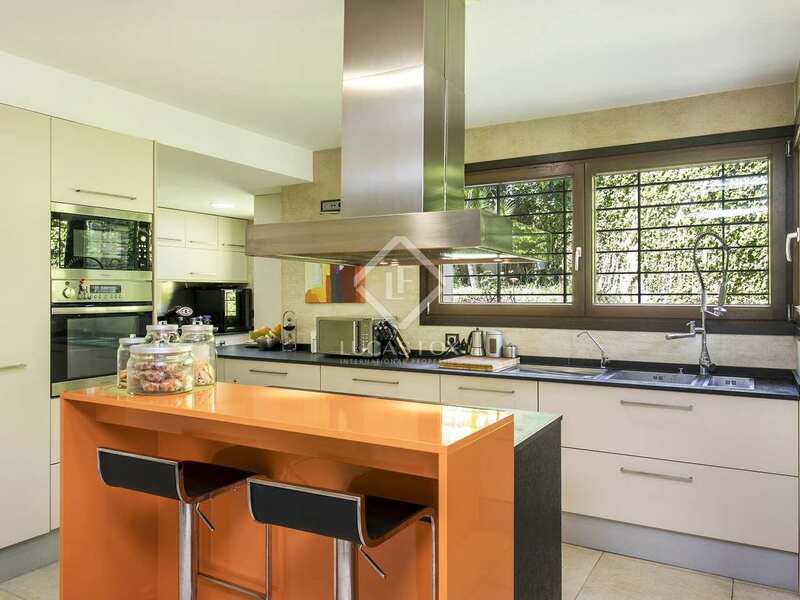 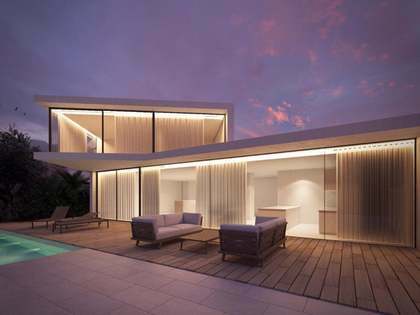 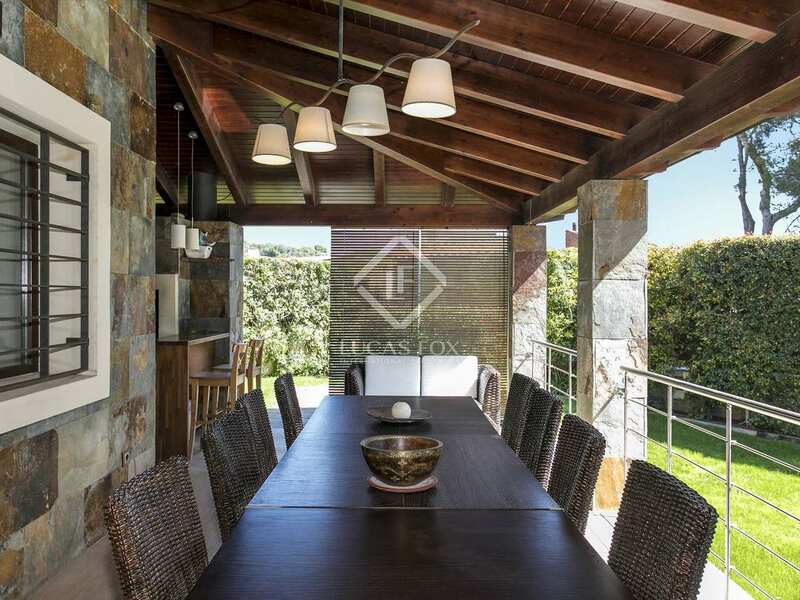 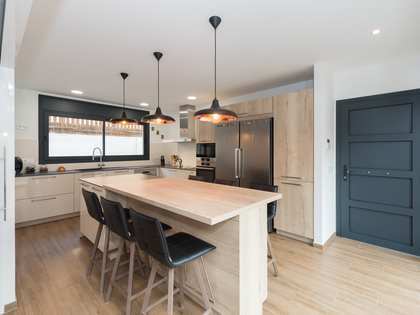 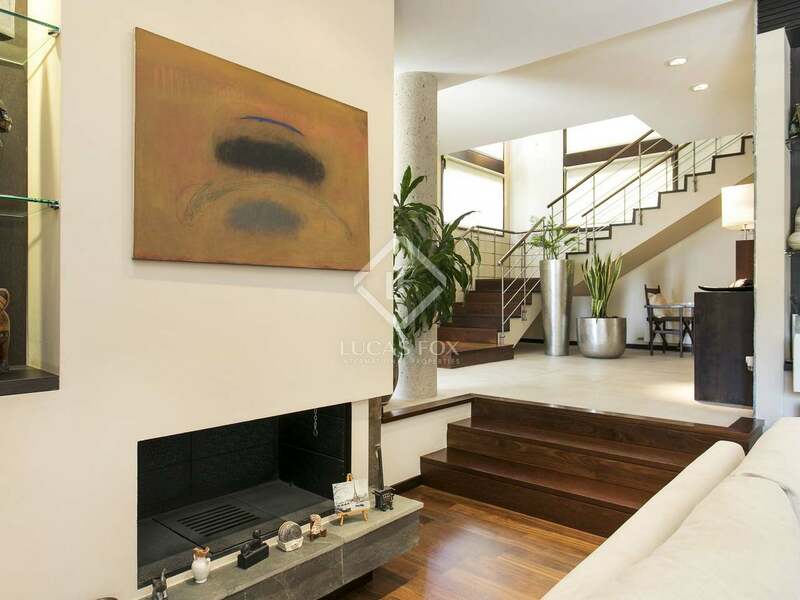 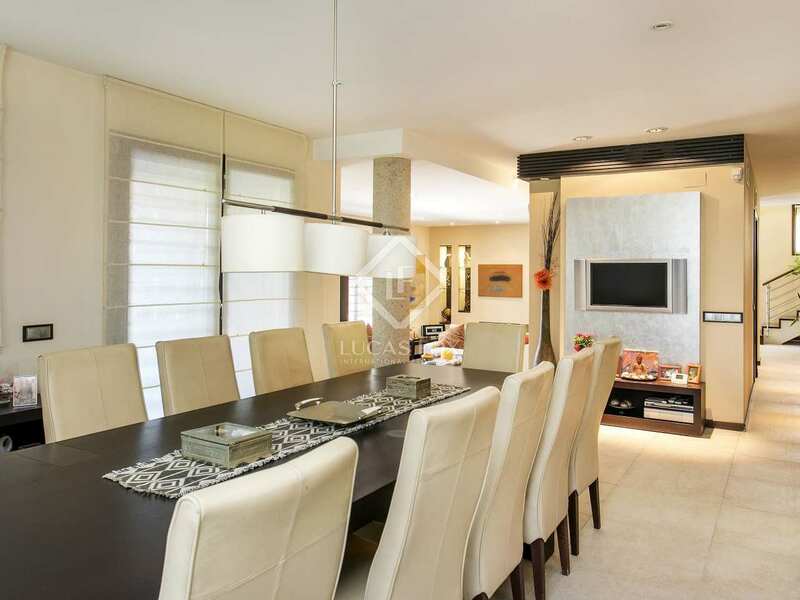 Particularly large (747 m²) modern villa built in 2006 on a south-west facing plot of 840 m² in Montemar – Castelldefels, walking distance to the town centre and train station. 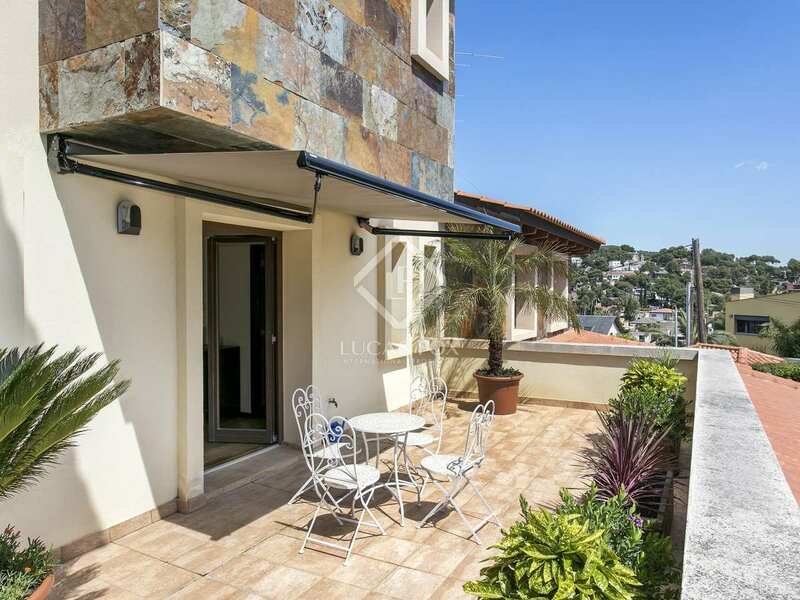 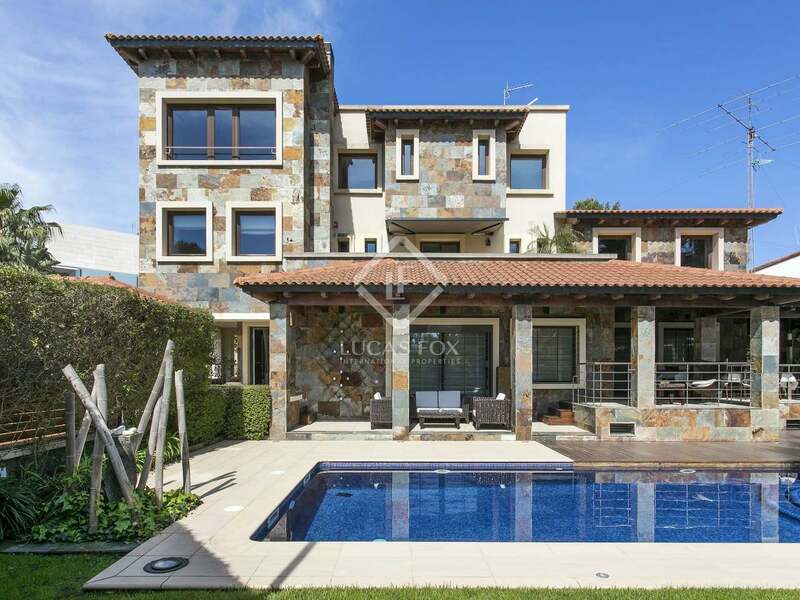 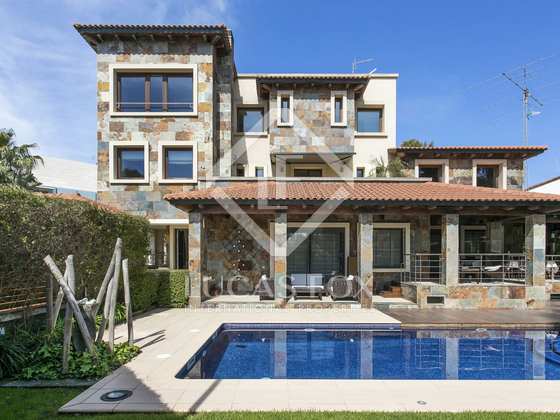 This villa, by far one of the most impressive in the neighbourhood, features a unique natural stone façade and is surrounded by an excellent very low maintenance garden with an inviting swimming pool. 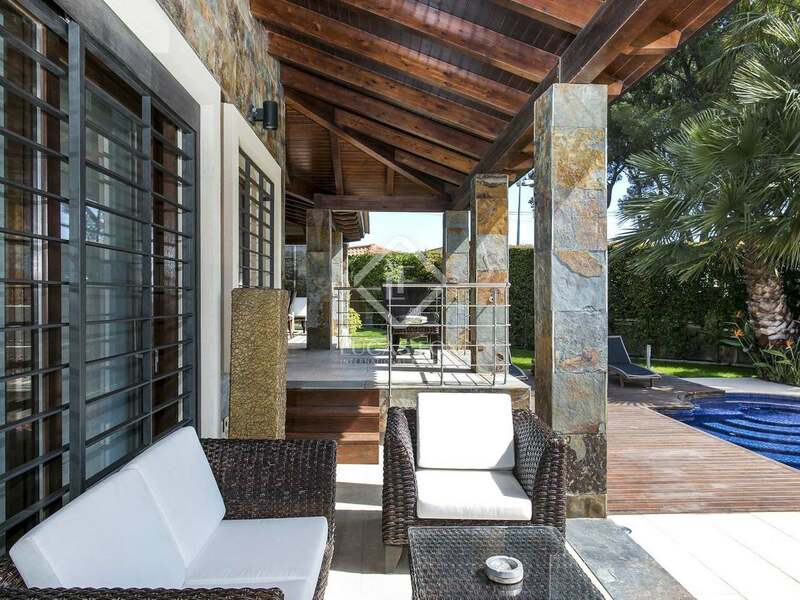 The ground floor invites us in through an impressive entrance hall and accommodates the large living-dining room with a fireplace and access to a charming covered terrace and the garden with the swimming pool. 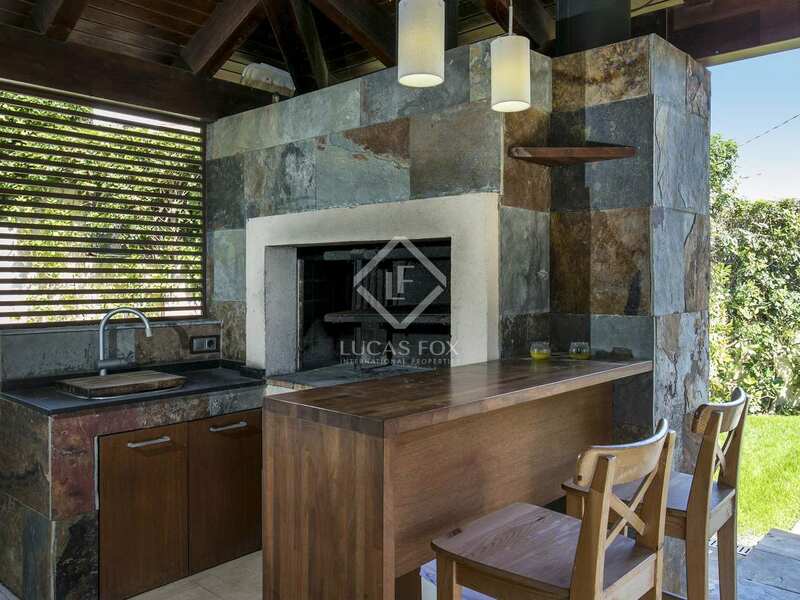 Next to this is the fully equipped kitchen with access to the outside terrace and outside barbecue and kitchen area. 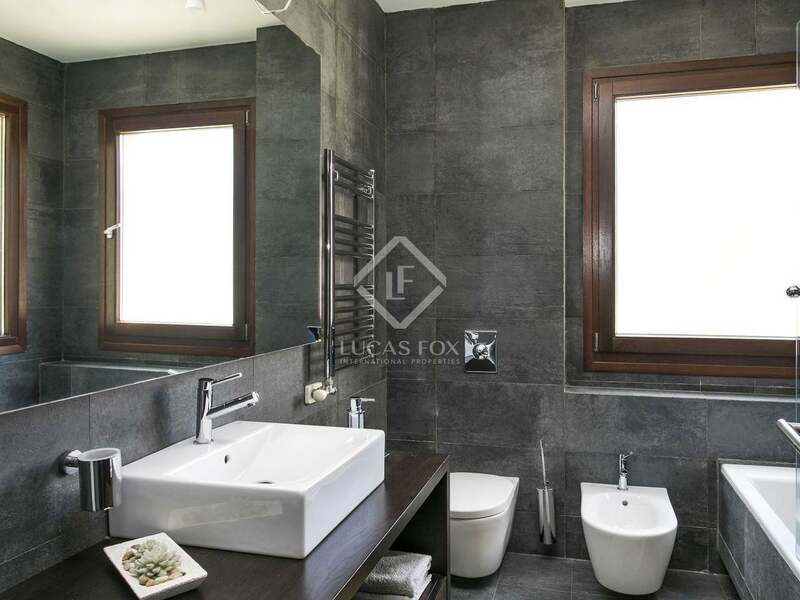 Other rooms on this level include a utility room, bathroom, guest toilet and reading room. 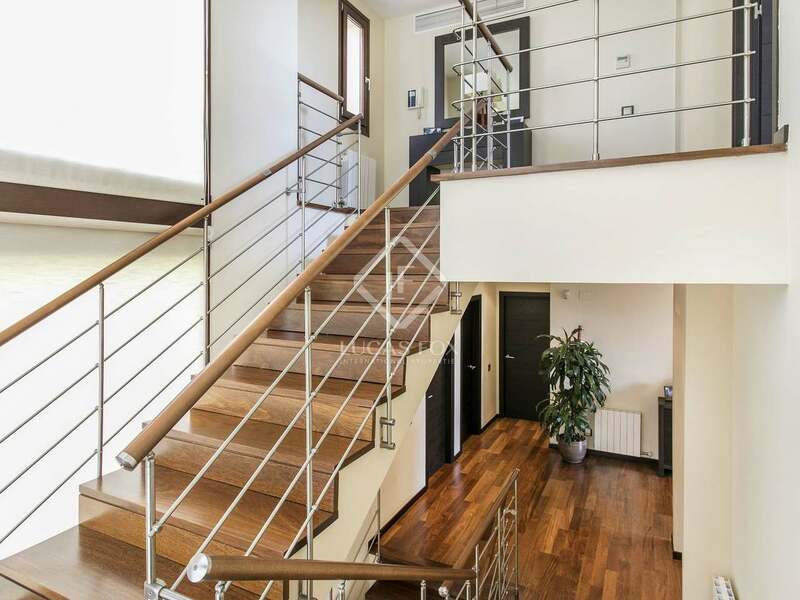 The house has a lift. 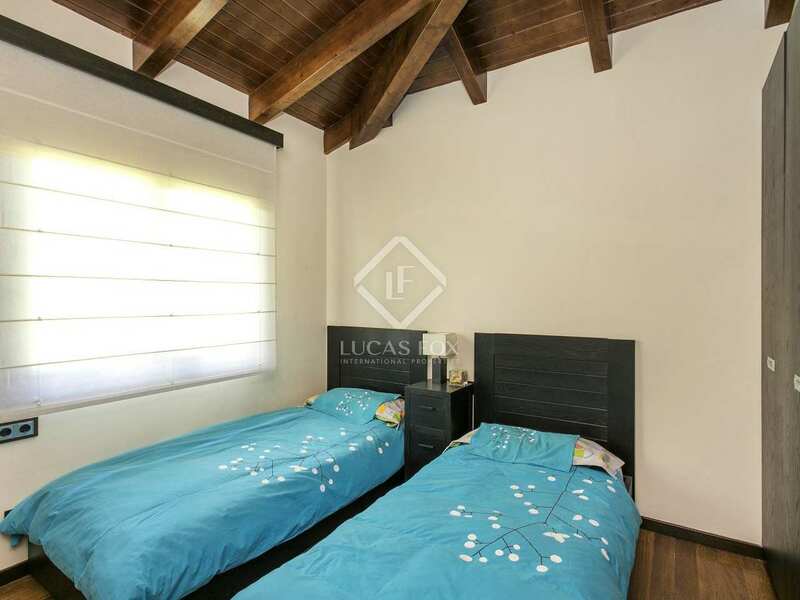 There are 4 double bedrooms on the first floor, 2 of which have en-suite bathrooms while the others have access to a shared bathroom. 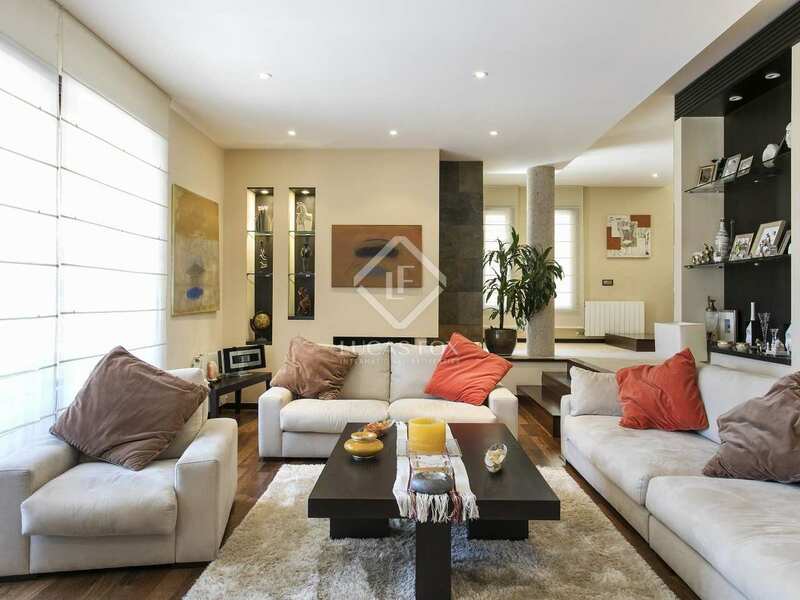 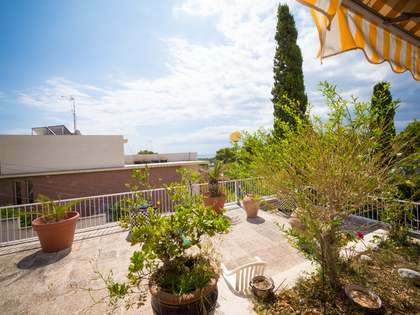 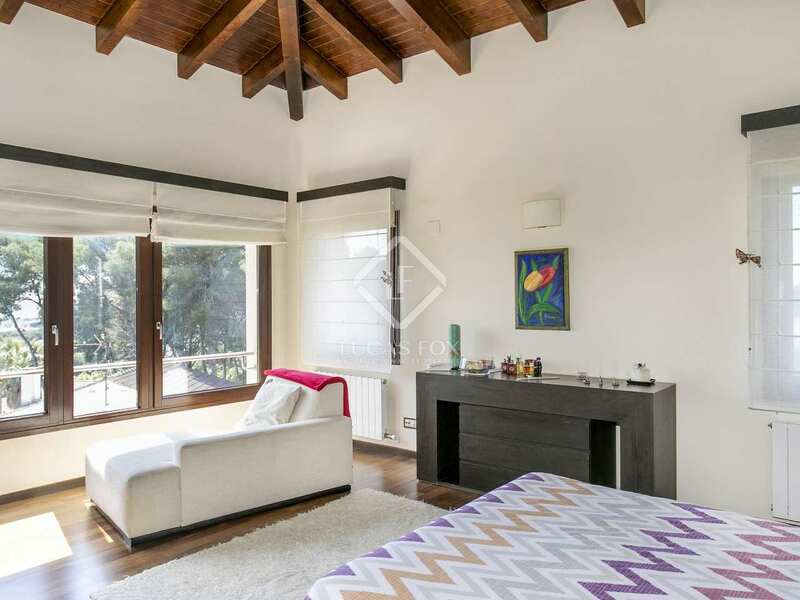 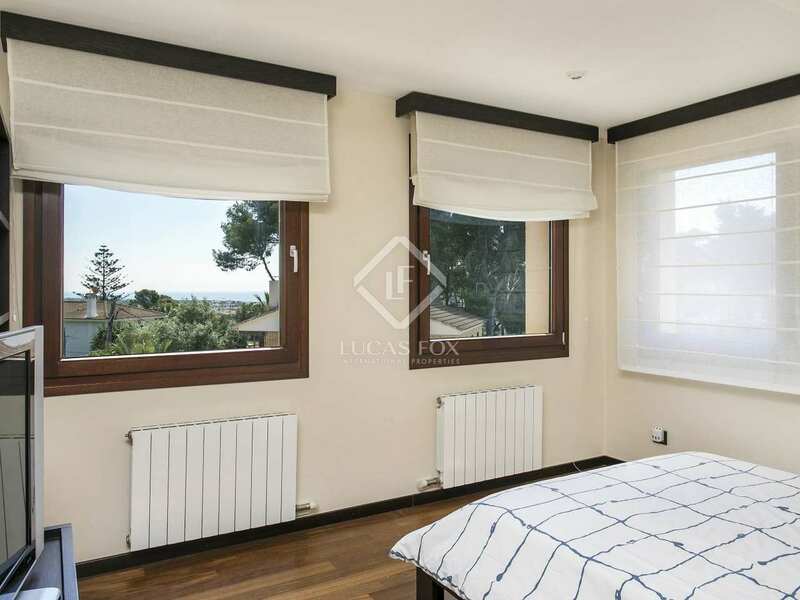 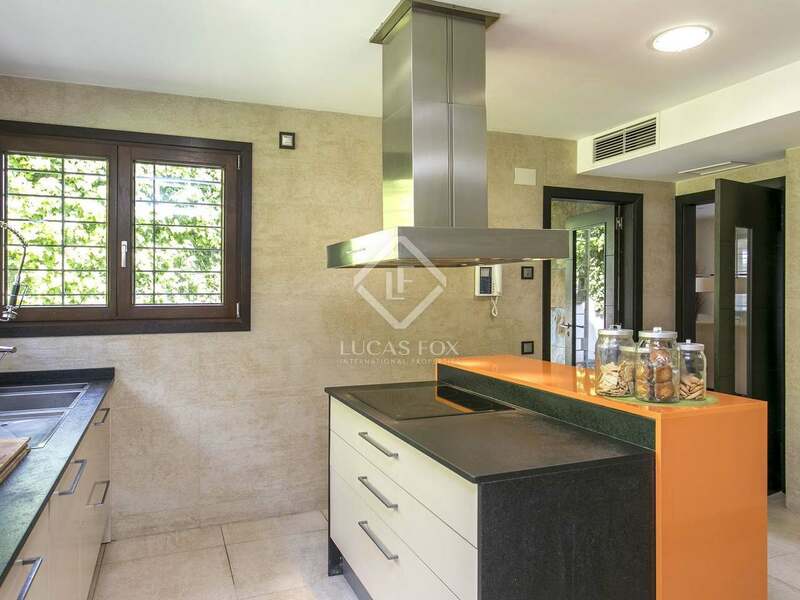 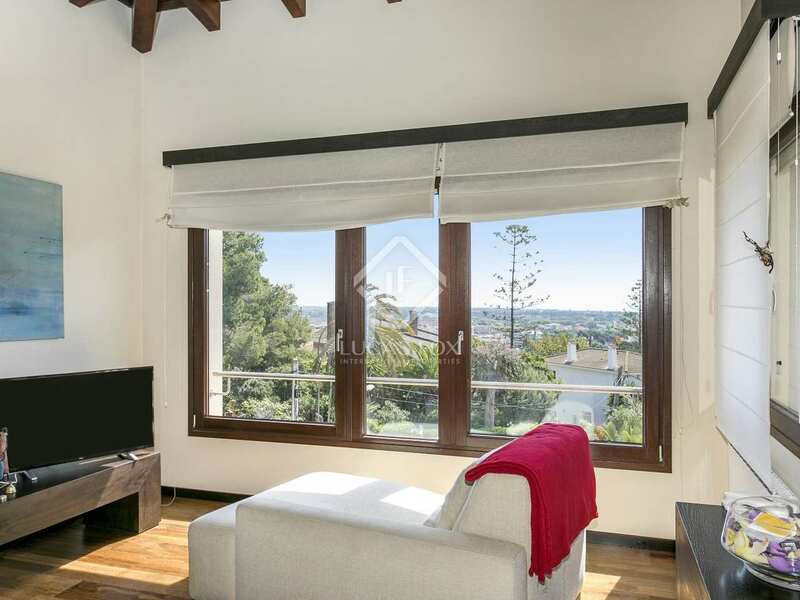 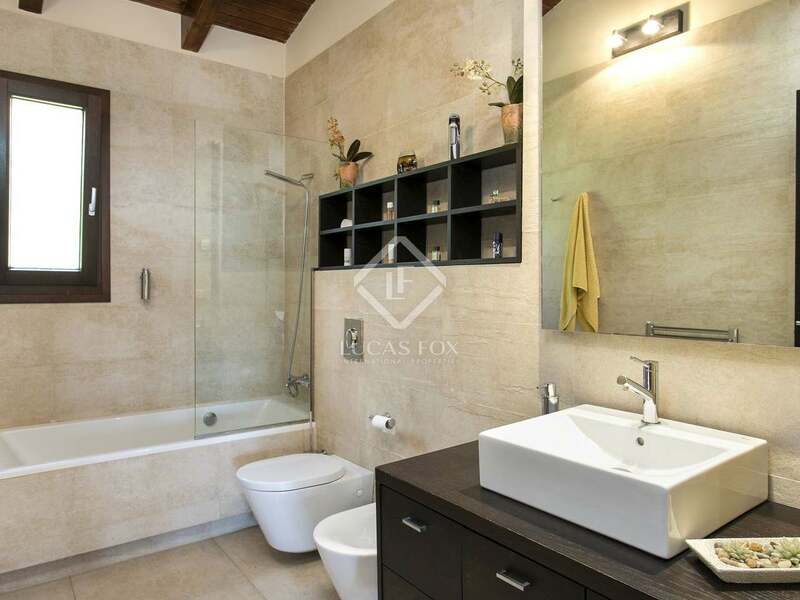 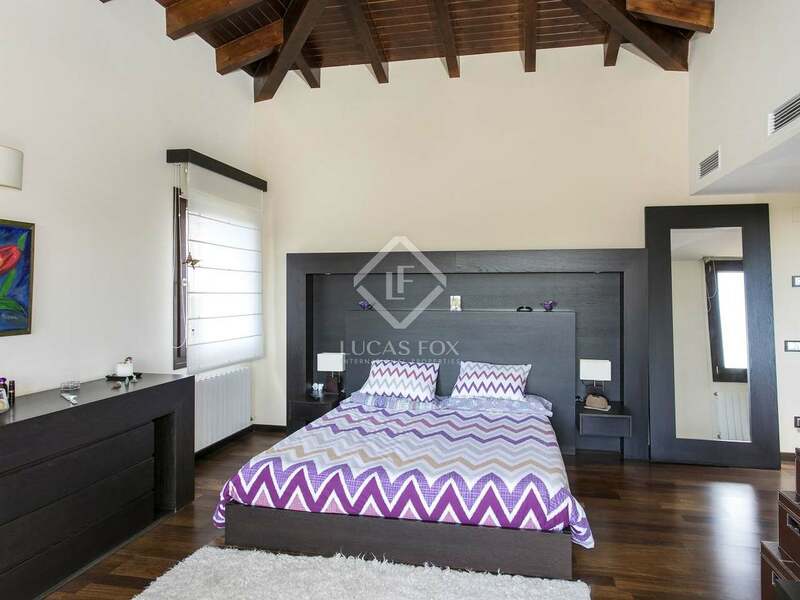 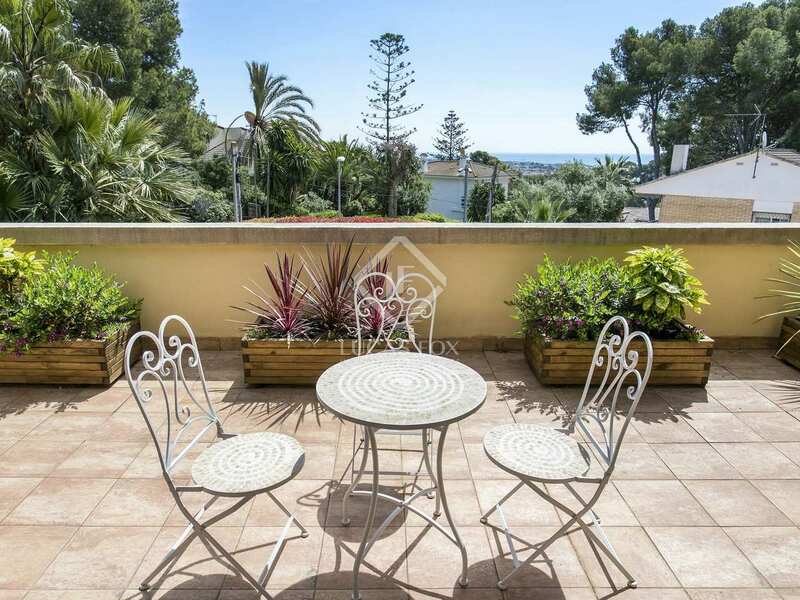 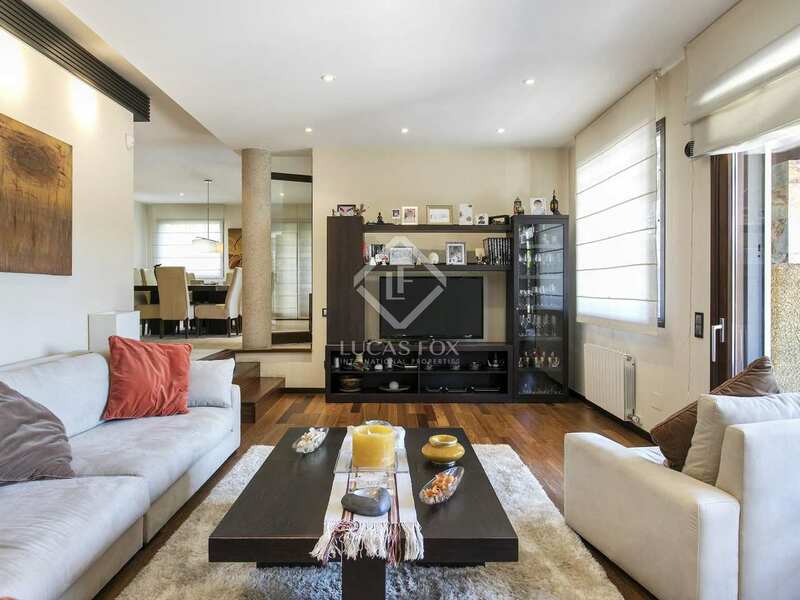 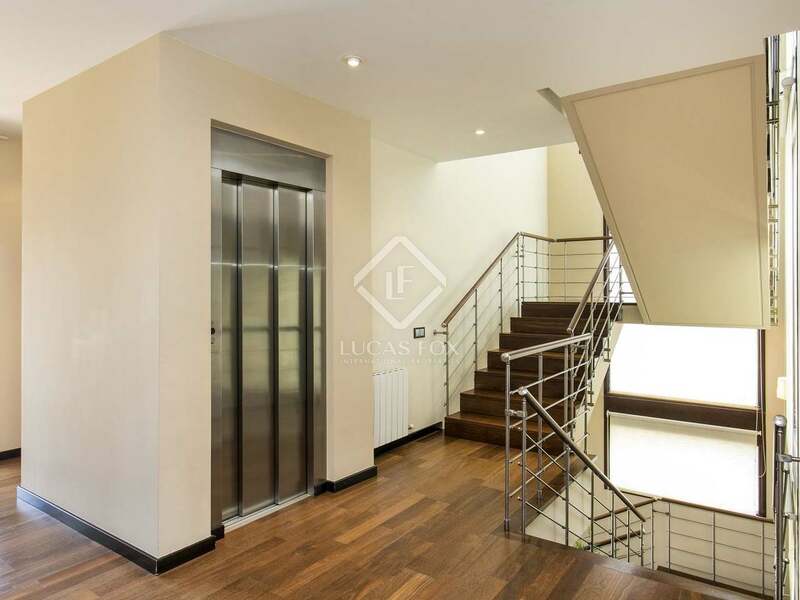 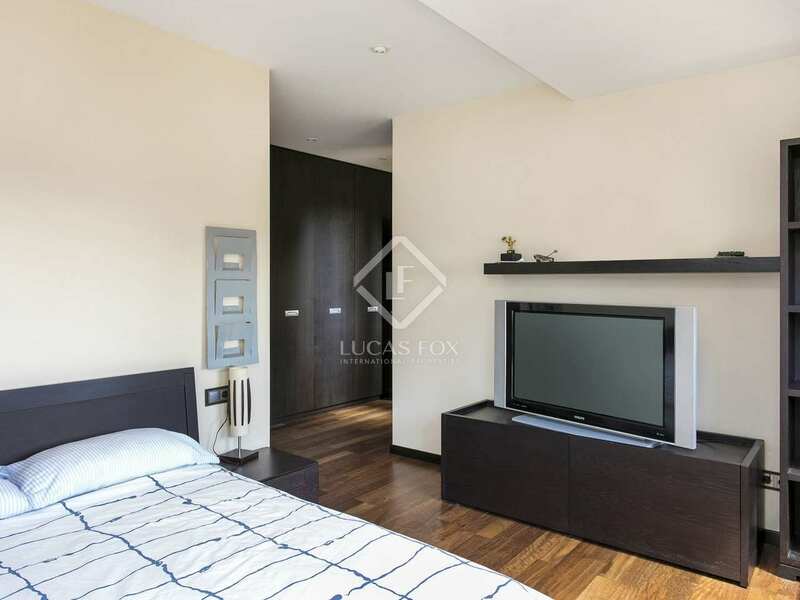 This floor boasts a large terrace with wonderful panoramic views of Castelldefels coast. 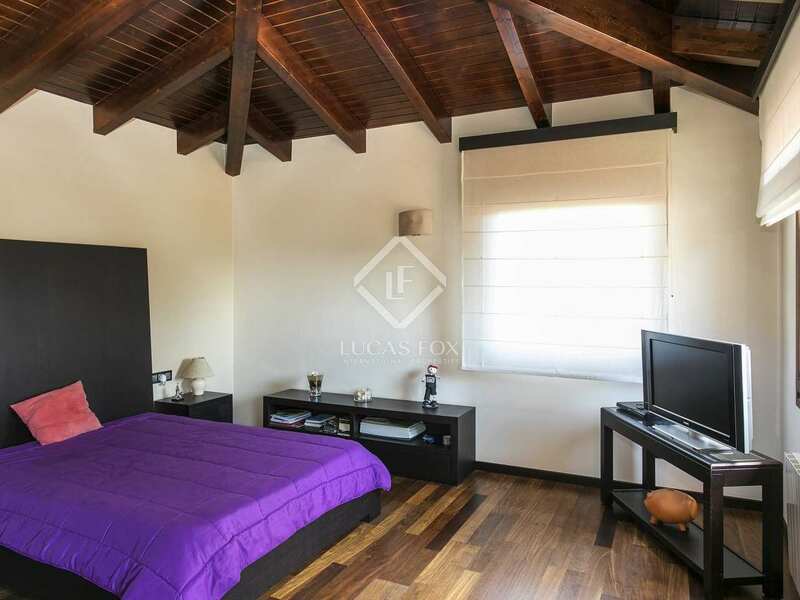 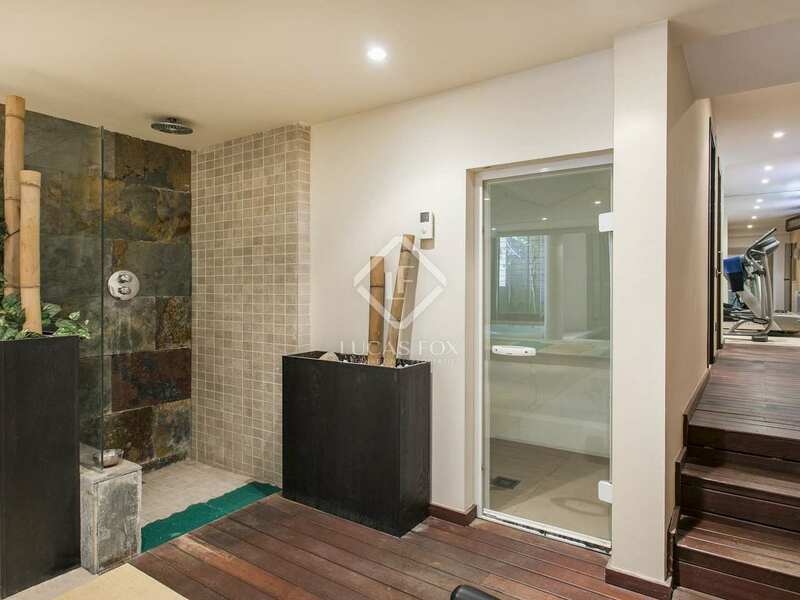 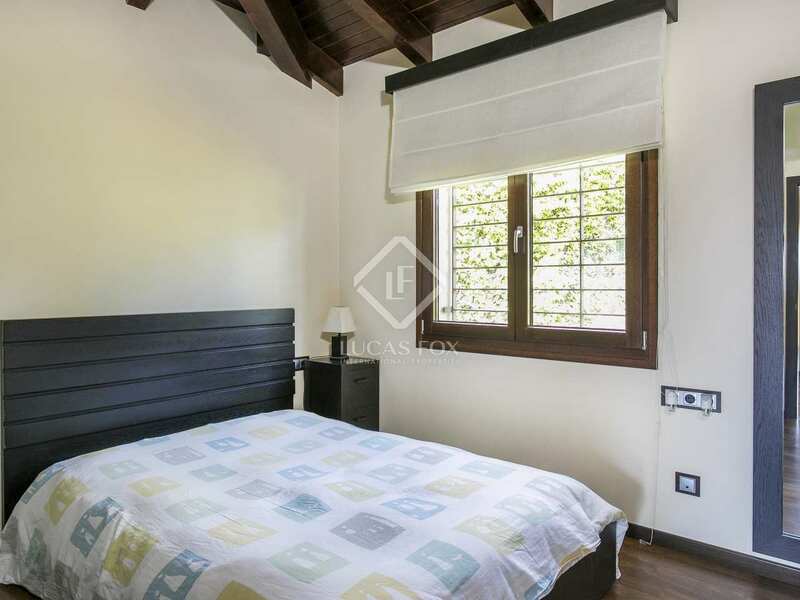 We find the impressive master bedroom with a living area, a walk-in closet and large en-suite bathroom on the top floor of the house, bestowing it with an atmosphere of tranquillity and privacy. 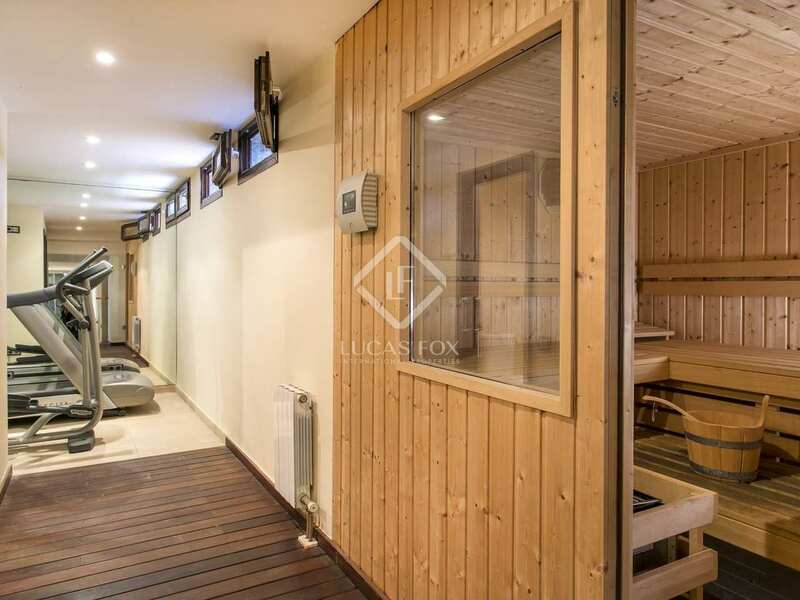 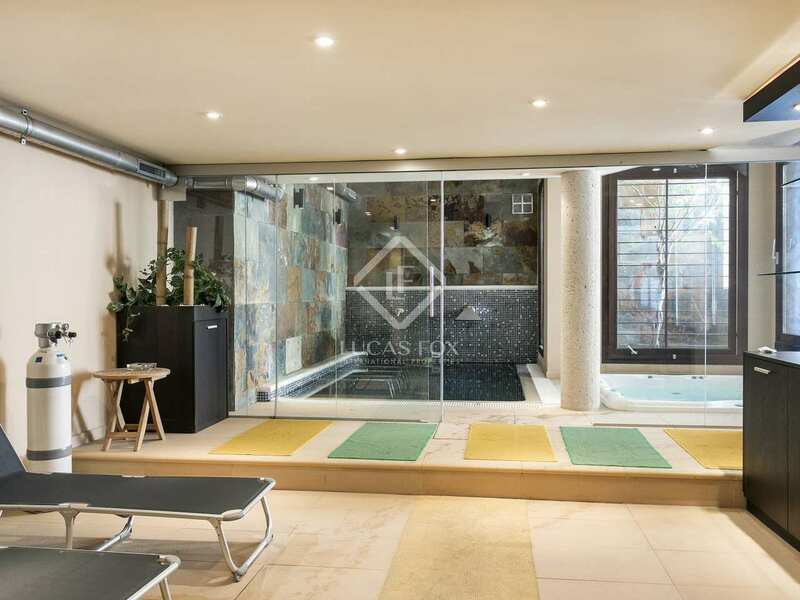 The lower ground floor provides an incredible spa area with a jacuzzi, swimming pool, Turkish steam room, sauna, shower and bathroom. 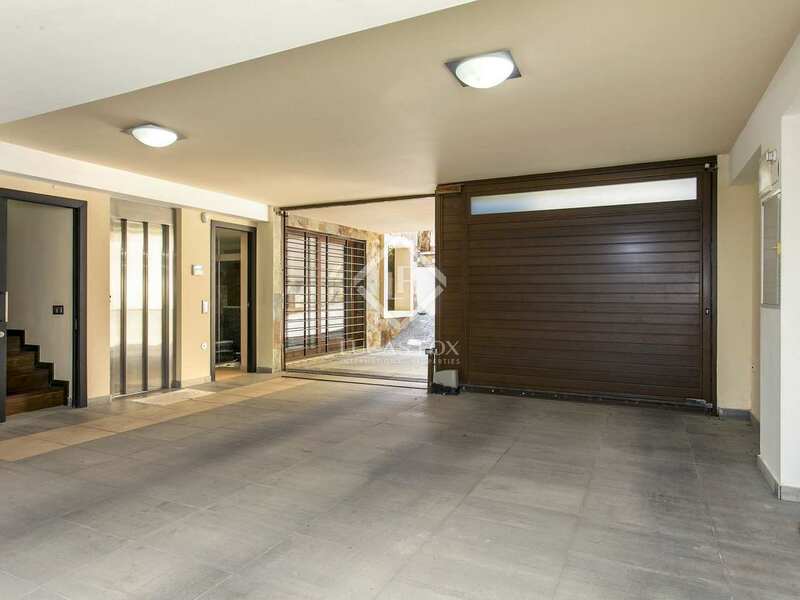 Also on this level are the gym, the 4-car garage and the storage room. 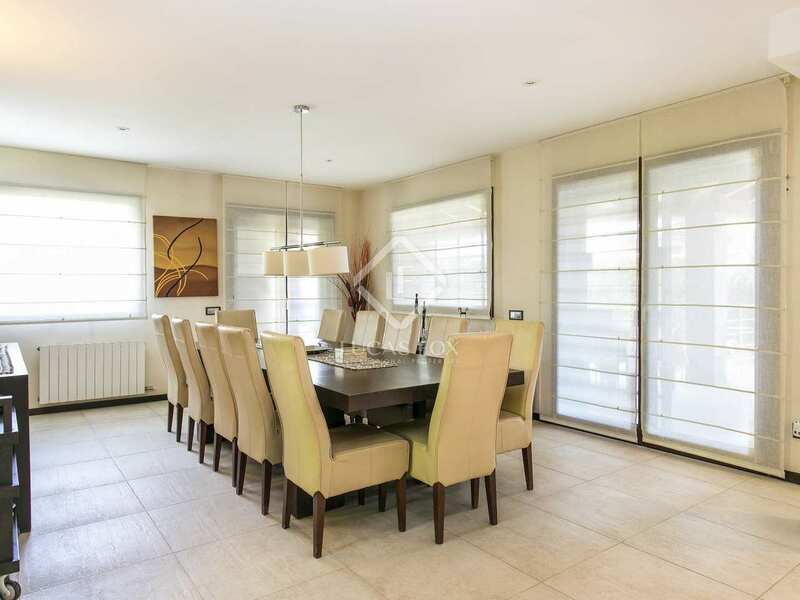 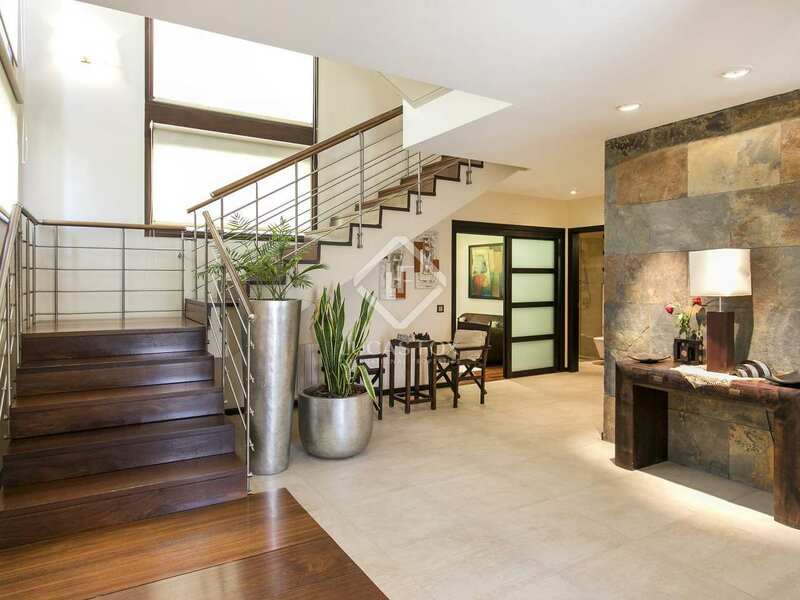 An exquisite family home presented in move-in condition with high quality finishes and all manner of extras. 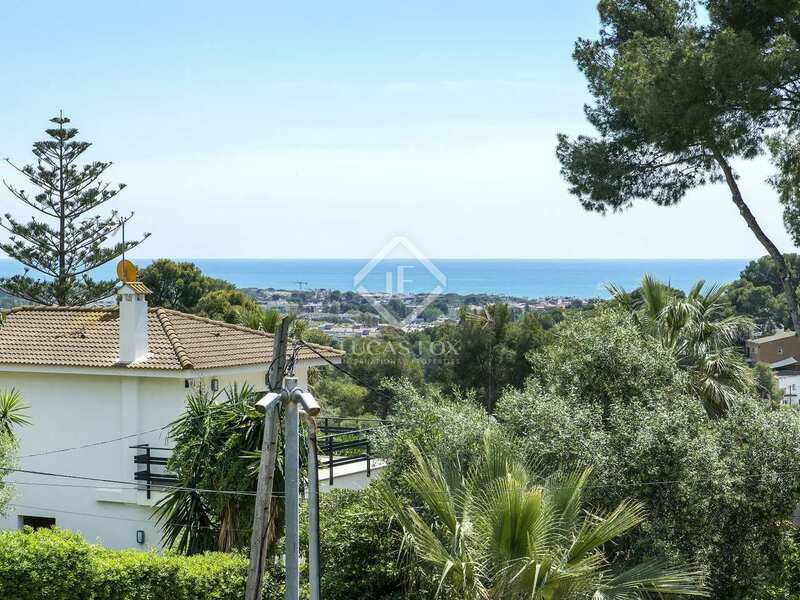 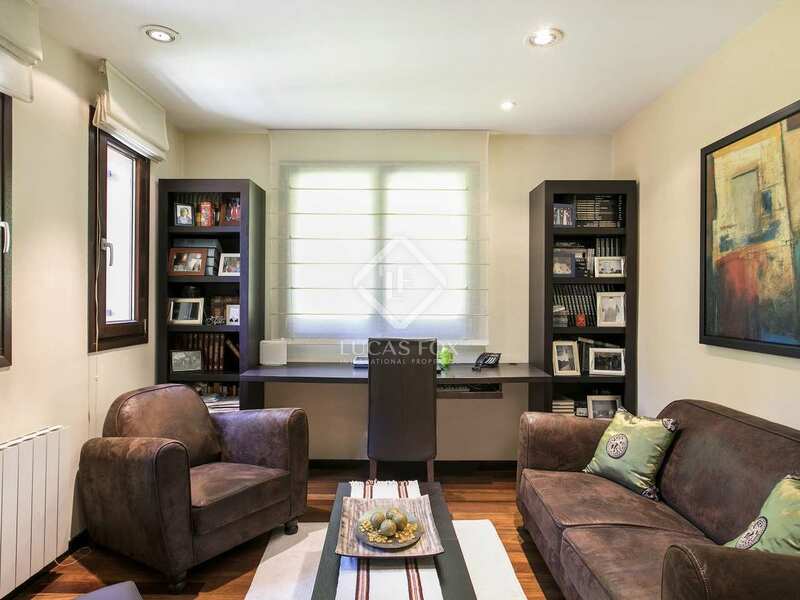 Situated centrally in Montemar-Castelldefels, close to the town centre of Castelldefels and the train station. 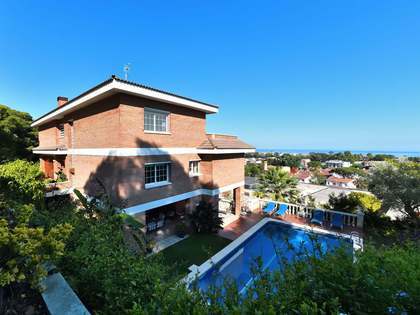 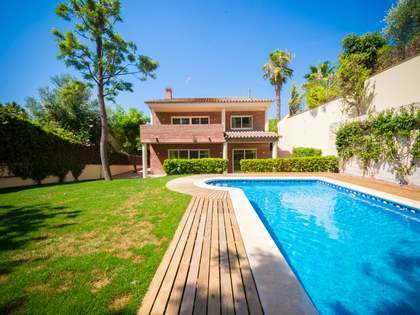 It is also close to the International school and Castelldefels beach is a 5-minute drive away.